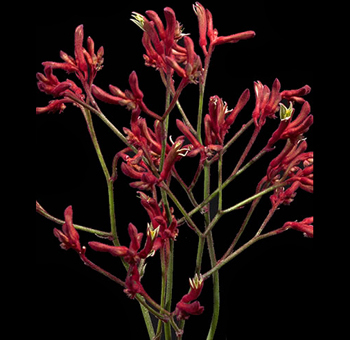 Kangaroo Paw is an exotic flower that makes long-lasting filler for tall centerpieces and floral arrangements. They have bright colors that have velvety flowers. They are perched on top sturdy stems, and come in beautiful shades of red, orange, and green. At any occasion, flowers make the real difference. Where, they give the day the desired panache, color, and an excellent mood. There are endless options and ways of using flowers for the decorations. You could inculcate them in the form of bouquets, as centerpieces or for the entrance to the event. All decorations are complete with flowers. Especially, when you have the Kangaroo Paws bloom is perfect, unique and astonishing with their bright and big blooming look. For a reason, they are known as ‘Bush Diamond'! They grow from a white to a matured palette of pink Kangaroo Paw flower. They add elegance wherever put to any use. Add charm to the venue with this bright and elegant flower! Getting the right flowers for your occasions is a blessing! 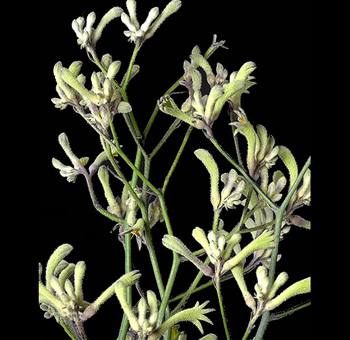 With beautiful flowers like Kangaroo paws, the blessing just seems sweeter! Kangaroo Paws make good-looking cut flowers and purpose for ornamentals. Also, the Kangaroo Paws are exported widely for their nature of ornamental purpose. Kangaroo Paw plant has exquisitely long and smooth leaves along with beautiful and brilliant flowers. These flowers are about 10 centimeters long. Kangaroo Paws have an unusual paw-shaped bloom which is the reason for their common name.Rare pink/yellow Kangaroo Paw flowers are very attractively used in the flower arrangements. Importantly, they are known for their extreme eye-catching look of paw-shaped flower structure which makes it unique. And thus, preferable at the weddings and other decors to add excellence along with uniqueness. They are essentially used in decorations due to their native arrangements. They blend well in mixed flower bouquets along with other traditional and exotic flowers. Availability of long straight stem plant, whereas this flower is perfectly used for the upright arrangements and other purposes. The decorative elements are endless with the rare pink / yellow Kangaroo Paw flowers when planning a rich decor. The flower has a beautiful ability in making any setting or floral arrangement exotic. The charming and exceptional nature of the flower can attract any guest at the event. If it is used as a highlighting element such as the centerpiece, it will give a spectacular and classic look to it. The paw-shaped flower manages to be appreciated for its fascinating beauty. The colored stem comes with a fleshy spike which adds beauty to the cluster look. You can find websites selling Kangaroo paw for sale online and get them for any purpose on your event. The flower can be used at any occasion while they add excellent alluring beauty to the venue. When they are paired up with good foliage, these blooms give an irreplaceable feel to any other flower in the arrangement. However, the sword-shaped flower gives a good lavish and bushy look when paired along with other flowers. 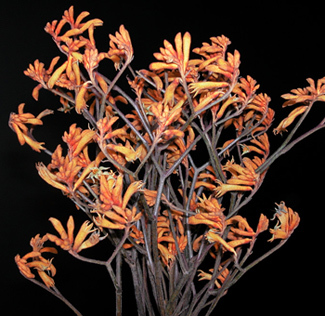 The Kangaroo paws are available in a range of colors. Depending upon your preference, opt for one. It can be the rich white-pinkish or a more vibrant yellow-reddish look; their beauty is simply supreme. There are varieties of hybrids that are available for this flower too. The white-pinkish flower adds an exotic doorway to more romantic feelings for the venue, and they are favorably preferred for wedding decors. Get them in any of your occasion's décor, and you will perceive the magic they do to the place, giving it a heavenly look. 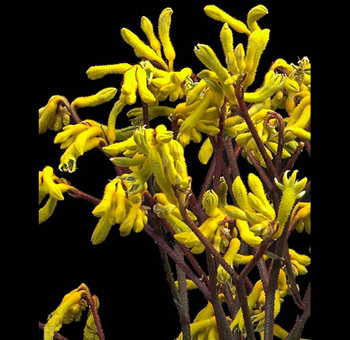 Purchase the Kangaroo paw for sale online while buying them in bulk as they are simply perfect for a lavish and elegant décor when bought in bulk. Where to buy Kangaroo Paws online for the best price? While talking about any decors having flowers in it, it is never enough quantity of flowers for the decorations. So, you must get them in bulk to get the decoration to have a complete look. Especially with the rare and beautiful pink/yellow Kangaroo Paw flowers, you definitely need a lot more. Buying them online in bulk might be costly, and you definitely require a reliable site. We got you Whole Blossoms! They sort out the trouble that you face in order to buy in bulk through online. This great store for flowers gets you the best quality flowers in bulk. All thanks to them as they provide fresh flowers at your event without any sort of worries. The fresh Kangaroo Paw for sale online is available with them at a budgeted price. It is that simple to get your flowers right at your doorstep and make your event vibrant and exotic. As Whole Blossomsprovides you with 24/7 service, there are no worries about any on time delivering approach. This exotic type of flower will complete your event with their elegant appearance. So next time when you are up for a celebration, order Kangaroo paws at Whole Blossoms and have a memorable day to cherish life-long!